With its narrow width and historic character, and if a City of Vancouver study recommends such an implementation, Water Street running through the Gastown district could become Vancouver’s first pedestrianized area that curbs vehicle access. The municipal government is set to launch a process that will identify a variety of pedestrianization options for Water Street between West Cordova Street and Carrall Street. In particular, the intersection of Water Street and Carall Street, the location of Maple Tree Square, is one of the city’s most iconic intersections with the Gassy Jack Statue and the Hotel Europe flatiron building flanking its corners. Four goals have been stated for the Water Street process, including acknowledging Gastown’s complex history, exploring Vancouver’s first car-light or pedestrian priority area, addressing the gap in the cycling network, and enhancing the area for transit buses and the future streetcar network. As well, there are plans to rehabilitate Water Street’s 1970s-era cobblestones, which have been quickly falling apart in recent years. 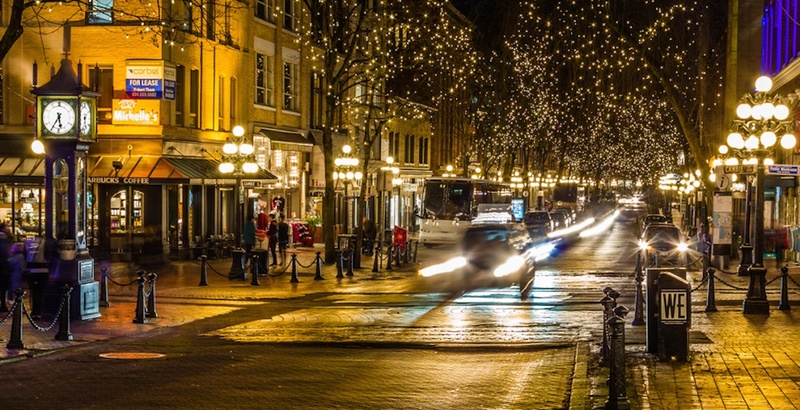 “Planning for street upgrades in Gastown has begun, to explore the possibility of a pedestrian priority district, and enhanced cycling and transit connections,” reads a community newsletter issued by the City. It remains to be seen what kind of options will be identified, but City Council’s approved Transportation 2040 plan suggested options such as wider sidewalks with modified parking arrangements, car-free spaces, or shared spaces through parts or all of the day. 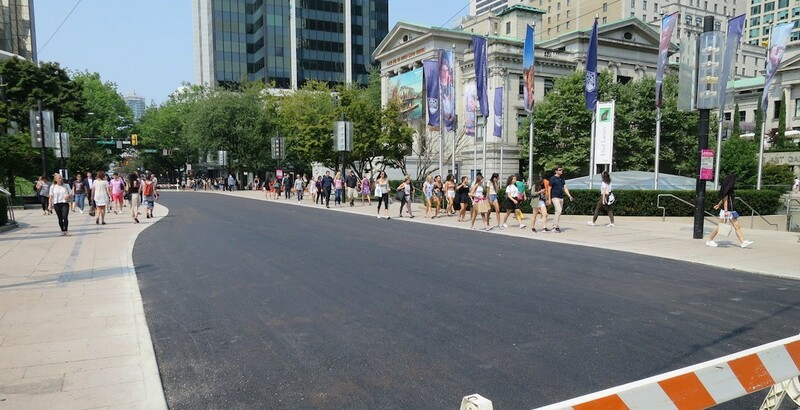 City Council has already approved and taken the first steps in turning Robson Square – the 800 block of Robson Street between Howe Street and Hornby Street – into a car-free pedestrianized space. Separate processes will be created to identify pedestrianization options for Robson Street and the streets in Yaletown. Some areas of the City are already car-free including some areas of Granville Island and small plazas, such as Jim Deva Plaza from the permanent closure of Bute Street north of Davie Street to the laneway. Another plaza was recently created over the summer on a temporary basis from the closure of Bute Street north of Robson Street to the laneway. 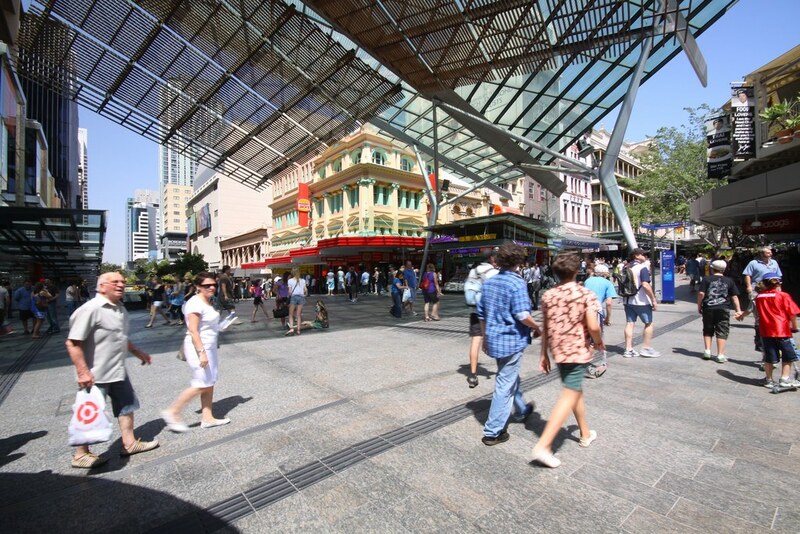 There have been many successful large-scale applications of full pedestrianization attracting more foot traffic and increasing business for retailers and restaurants, particularly in Europe, Asia, and Australia. Within Canada, examples of car-free pedestrianized strips include Place-Jacques Cartier in Old Montreal, Granville Mall in Halifax, and Whistler Village. Throughout the 1960s and 1970s, pedestrianization initiatives were common in many North American cities in a bid to bring people back into downtown areas and create a catalyst for new streetfront retail and businesses. However, it is not a guaranteed success. Many of these car-free streets failed as a result of poor planning that did little to activate the pedestrianized areas. And with few people living in these downtown areas at the time, the car-free areas became empty after work hours and attracted crime. 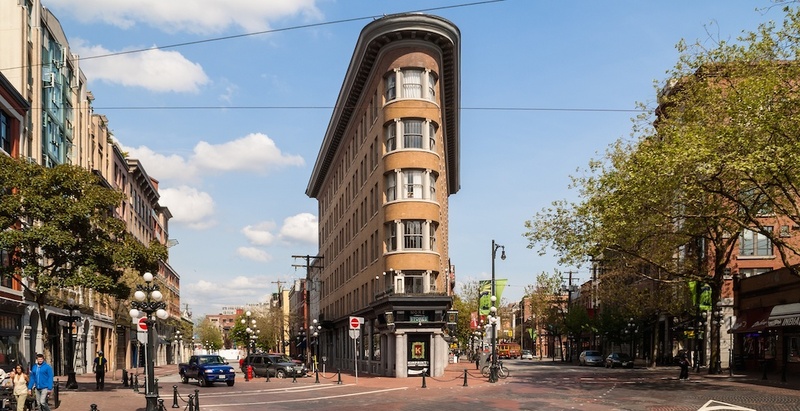 But that does not seem to be the case with Water Street in Gastown, which has been experiencing a revitalization over the past decade with the influx of new businesses. 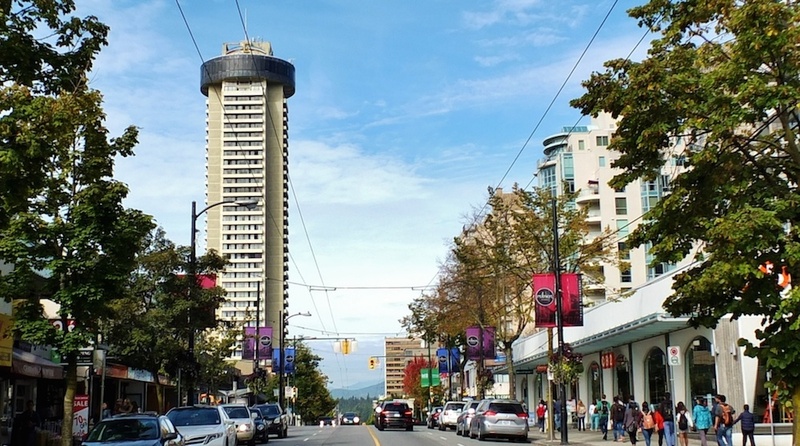 Additionally, the residential population in the downtown Vancouver peninsula is one of the highest in any major city core in the continent. With Robson Street west of Burrard Street, which suffers from a poor urban realm with high pedestrian traffic but narrow sidewalks, upgrades to make the street more pedestrian friendly could help revitalize the retail strip and end the enduring cycle of storefront vacancies.